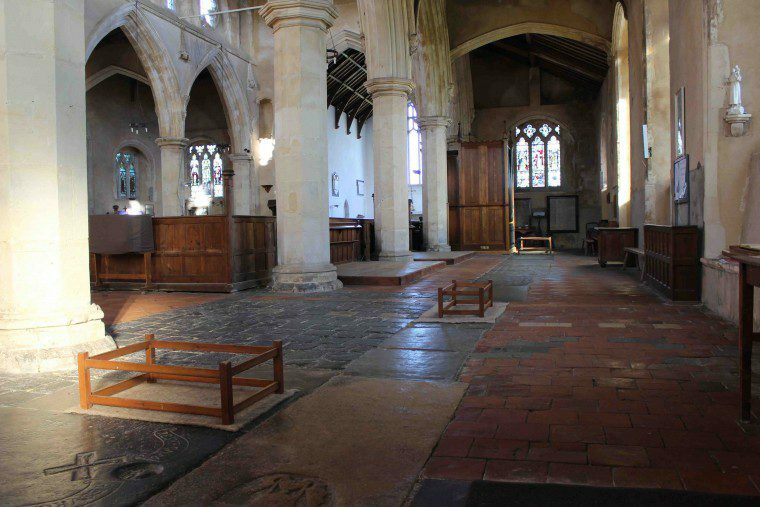 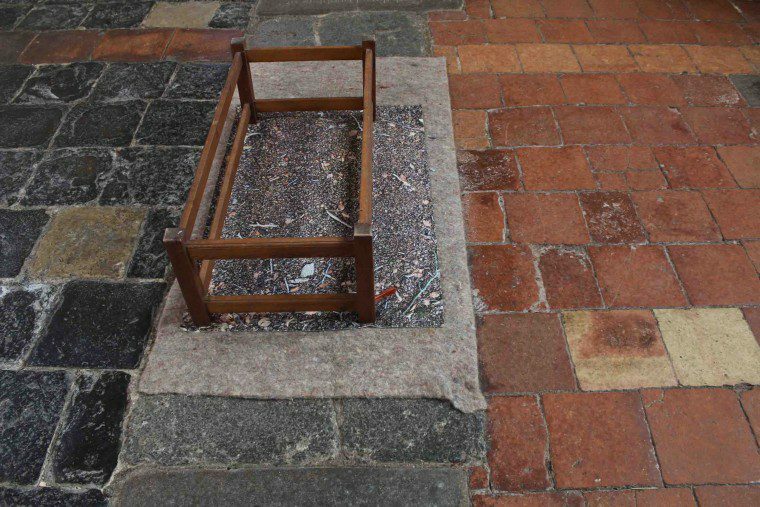 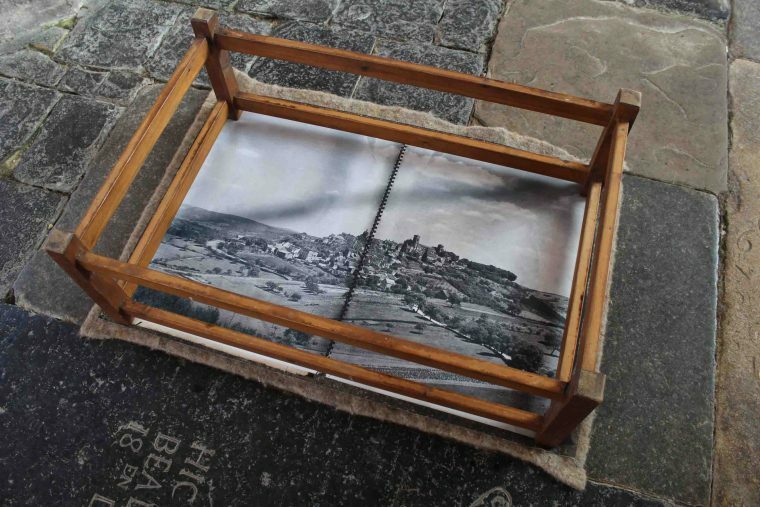 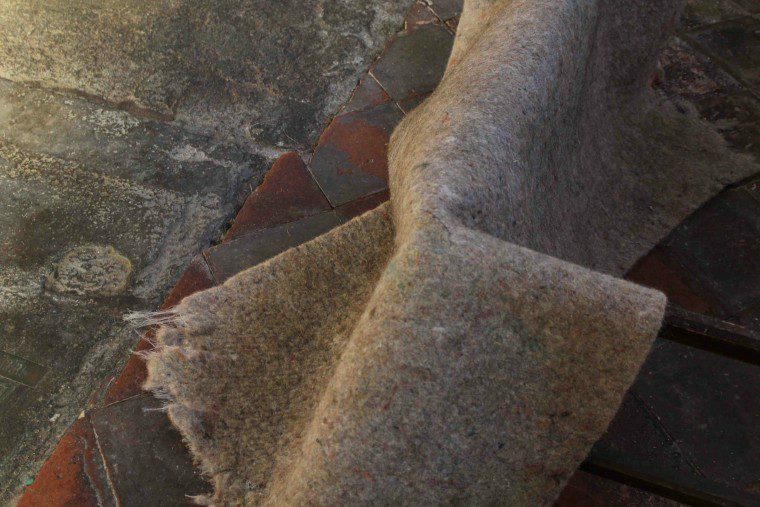 Four Small Dislocations was a site-specific installation (comprising found materials and digital prints on canvas) in four locations in the 14th-century church of St Margaret of Antioch, Cley, Norfolk. 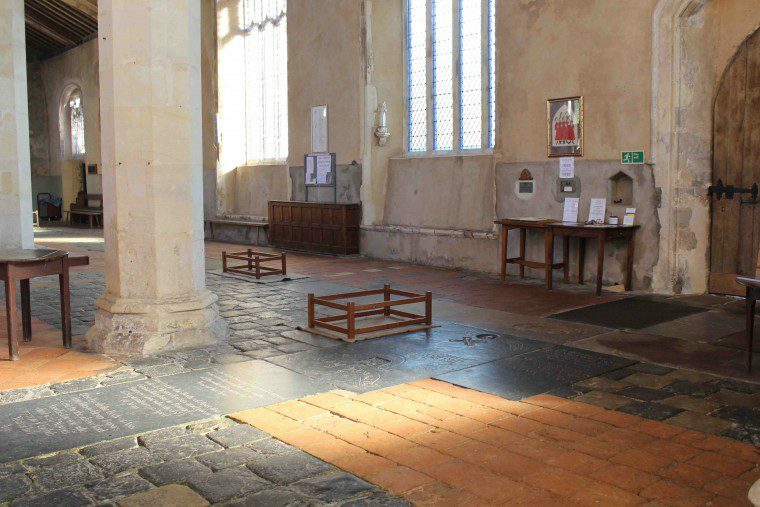 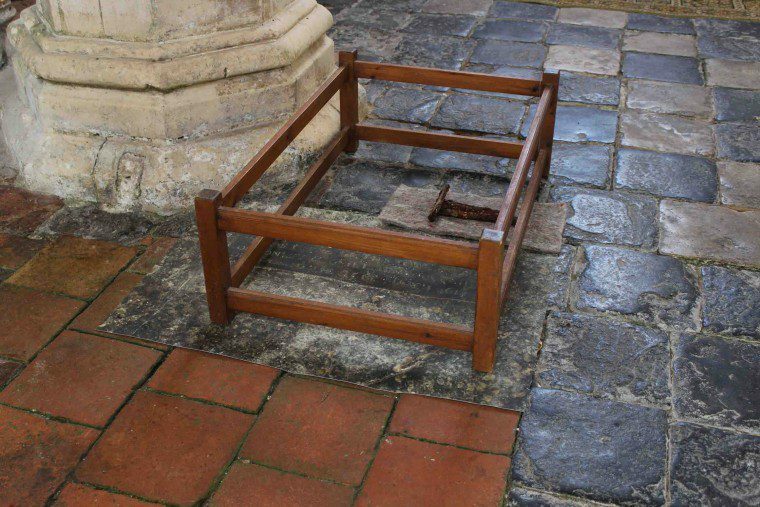 In each of the four locations, a layer of photographic imagery was added to each of the four distinctive structures used in this building to cover and protect its medieval floor brasses. 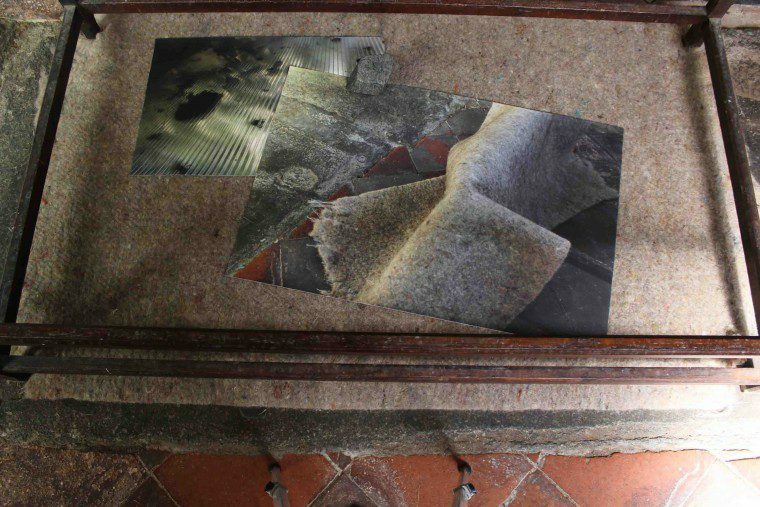 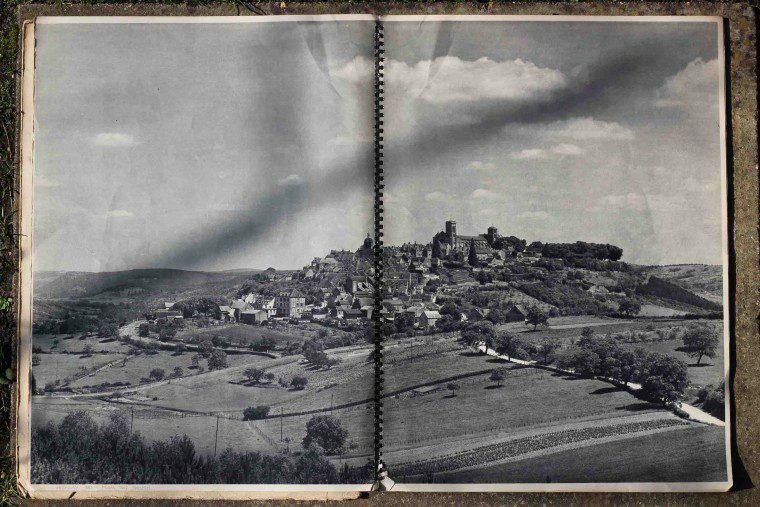 These modified, awkward assemblages of material and pictorial elements acted as improvised framing devices that pointed towards other spaces and surfaces (which may or may not have been visible) either within or beyond the building.